Leaves are falling, apples are ripe, it's pumpkin spice season, and all this autumnal air makes me think about how perfect the marriage is between Halloween and fandoms. Who hasn't had a Hocus Pocus party or thought about a waffle-tastic Stranger Things marathon this month? Halloween is when people dress up as witches, superheroes, book characters, etc. It even goes the other way, with Halloween themed shows, games, and movies. Some warrant disturbing chills, others are just a tad unsettling, but all are lovely and should be enjoyed during this month if possible because there's something about feeling unsettled in October that makes it much better than other months. Here are a few of my favorite fandoms that are perfectly suited for Halloween. One could always watch Soul Eater during Halloween, sure, but nothing says chilling quite like Higurashi no Naku Koro ni or When They Cry, an anime about a boy named Keiichi Maebara who moves to a strange town and befriends a group of girls. All seems well until festival day approaches and Keiichi learns of a series of murders surrounding the famous festival and its patron god, but when he tries to gather information, he’s met with only silence and misdirection from his new found friends. Panic ensues! This was probably my first true horror anime. I distinctly remember not even being able to turn off the lights whilst watching it. If you’re an Otaku and enjoy a good mystery and horror story, check it out. This one’s an old one but a good one (though, maybe that’s more nostalgia than anything else. Not sure). Obscure is a PlayStation 2 (I know, old school. Right?) 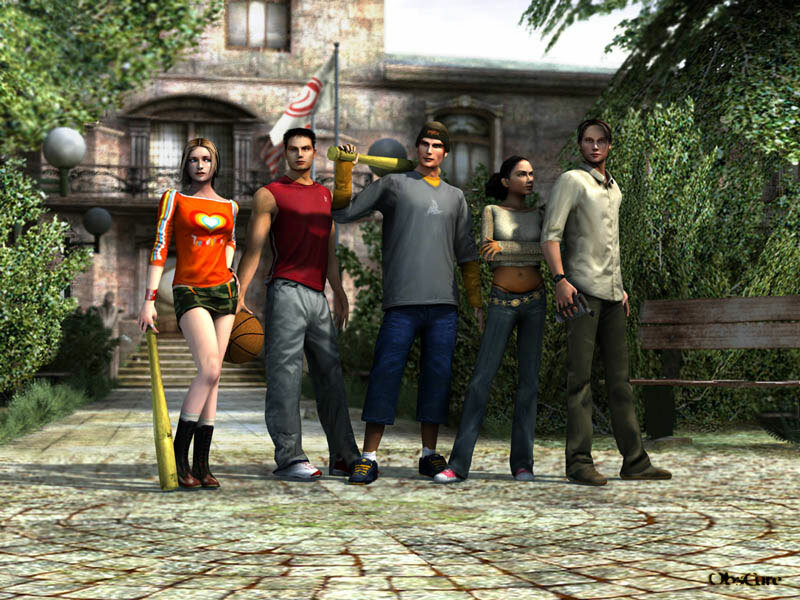 survival/horror game about a group of teenagers that seek out a missing friend. Soon they find themselves alone and trapped in the high school in the middle of the night. They simultaneously must uncover the mystery behind strange narcotics, all while surviving a series of attacks from infected students. The most terrifying thing, the thing I most shudder to recall, is sitting down with a good friend of mine (YES! It's multiplayer) and checking out some creepy, drug-hazed hallway, constantly scouting the area for imminent danger lurking in the shadows but still emitting a shrill shriek whenever monsters flash across the screen. In some instances, a player might only have a baseball bat (a flashlight was most effective) and a flickering shred of hope that your one hit and run was good enough to grab what you needed in a room and go. Most of the time, it wasn’t. If you’re a fan of jump scares and fun multiplayer video games, this might be the one for you. I was so tempted to put Hocus Pocus here, but Halloweentown deserves more spotlight. 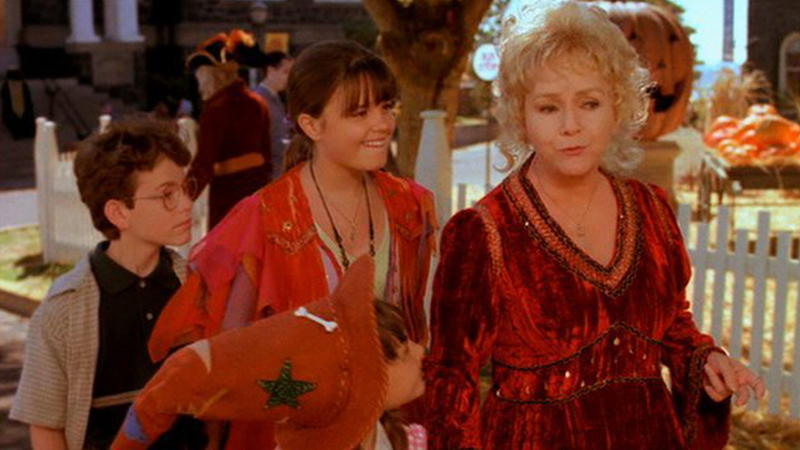 Halloweentown is a movie about siblings who are forbidden from celebrating Halloween for reasons that their mother never explains. Though, when their grandmother visits, she tends to encourage the children’s excitement in the holiday, much to their mother’s dismay. As the night unfolds, the siblings discover that their grandmother (and their entire family) are descendants of witches and wizards from a magical place named Halloweentown. When I was a wee preteen, especially during the month of October, the neighborhood kids and I would all want to act out Halloweentown, describing our characters as related to the siblings in the show. 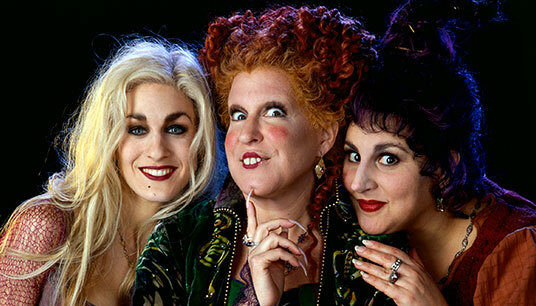 A must-see if you’re a good ol’ Disney Channel fan and a lover of everything Halloween. Not so much frightful as unsettling to think about, The Disappearances is interesting for the fact that every seven years a few towns lose something of value. Okay, you caught me! Really, I just wanted an excuse to write about this fascinating book. Though, the disappearances do take place in October. The book happens during the World World II era and is about a girl named Aila and her brother Miles, who are both sent away to live in their deceased mother’s hometown, Sterling, while their father is shipped out to war. During their stay in Sterling, Aila and her brother begin to notice the strangest things: they can’t see their reflections, the night sky is devoid of stars, and they are unable to dream. They find out that the town and two other adjoining ones are cursed with losing something that makes life worth living every seven years. To make matters worse, the townsfolk believe that Aila’s mother was the catalyst for the event and that they are expecting another disappearance in a month. Jaime Heller was the person who recommended this book to me and I can’t thank her enough. From start to finish, the story was gripping and extremely emotional. The plot twists and clever tie-ins with Shakespeare (I KNOW!!!) all make this book a fabulous read. 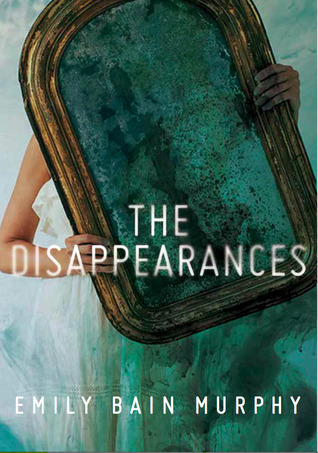 If you’re searching for a book that’s a page turner with historical relevance, Shakespeare references, and interesting happenings, The Disappearances is the one for you. Courage the Cowardly Dog is one of those golden age Cartoon Network shows that for me is bright and vivid with nostalgia. It’s basically just about a dog trying to protect his owners from horrific monsters and mad men. If you’re wanting to laugh, cry, and scream, watch Courage the Cowardly Dog this October. What are your favorite Halloween-esque fandoms? 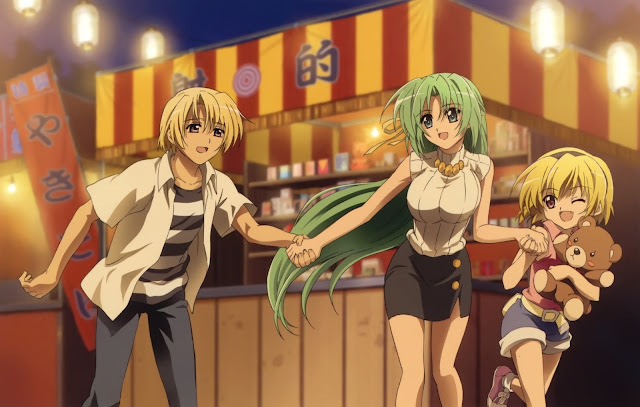 HIGURASHI. NO. NO. NO. NO. That anime is... NO. I mean, I like most of the characters and it does become super interesting the longer you watch, but it was super creepy at first and I was like WHAT IS HAPPENING?! Also, I don't really see The Disappearances as Halloween-ish, but I'm also not going to say no because any excuse to talk about that book or recommend it is necessary! :D I love it so much!